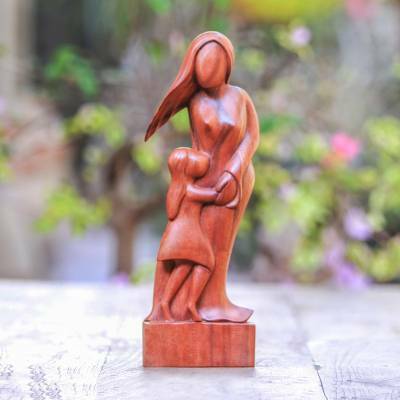 Artisan Crafted Wood Family Sculpture, "Mother and Daughter"
Priceless mother & daughter sculpture perfect for any bedroom's nightstand! Gave this as gift to my daughter. It is lovely. I gave this beautiful sculpture to my Mom as a Christmas gift. She loves it. The wood is just gorgeous and the artwork is truly lovely. "Special shower gift for a new expecting Mom!" Sooo pleased with this beautiful piece, not your typical baby shower gift. It was a real stand out and new Mom loved it!